Barbara Ruth Dickson, OBE (born Dunfermline, Fife, 27 September 1947) is a Scottish singer whose hits include "I Know Him So Well" and "January February". Dickson has placed fifteen albums in the UK Albums Chart from 1977 to date, and had a number of hit singles, including four which reached the Top 20 in the UK Singles Chart. She is also a two-time Olivier Award-winning actress, with roles includingViv Nicholson in the musical Spend Spend Spend, and she was the original Mrs. Johnstone in Willy Russell's long-running musical Blood Brothers. On TV she starred as Anita Braithwaite in Band of Gold. We were both brought up with that optimistic post war ethos that anything was possible, if you worked hard. The coast was our day-trip in the summer, with the ‘fringe of gold’ giving us great pleasure. This idyllic tale is all very well, but many don’t have that success in their lives today. 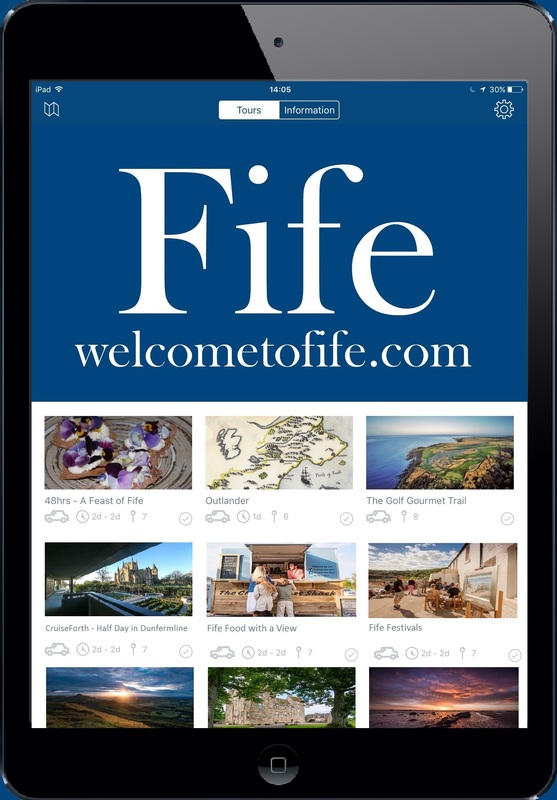 Everything has changed, but Fife continues to be slightly ‘apart’ from the rest of Scotland and also has a resolute desire to make its presence felt. A good combination, I think. Independence of thought and a fight to be noticed are all good stuff, in my opinion. Look at the famous folks from Fife, excuse the alliteration! My education was superb, although I was very upset at failing my 11 plus exam. My schools were motivational and I was inspired especially in Arts and Music there so I have nothing but praise for the system in which I was schooled. It was the lucky co-incidence of meeting Dunfermline’s John Watt and the folk club there that started me on my musical career, firstly in folk clubs for the first 10 years of so, then on to pastures new, via the theatre and plugging into my mother’s Liverpool background, to gain greater acceptance. Then the pop star years, where I was a household name, came thick and fast. I am now in a more leisurely place with being able to pick and choose what I do and when, which gives me freedom to travel to Ullapool, say, for a festival, or go to Coll or Orkney, if invited. What a treat, is what I say! But wee Fife is central, vibrant, good for business as it’s on the main arterial roads and train system, and it has the most beautiful Norman building in Scotland apart from Glasgow Cathedral, in the shape of Dunfermline Abbey. That place, with its majestic monastic ruins and Andrew Carnegie’s great gift of ‘The Glen’ to us, makes Dunfermline, in particular, a joy to visit and to sit and contemplate one’s life in the grounds and greenery, is a chance not to be missed. An oasis of calm and silence, where the spirits echo down the ages. Oh, and I can’t miss out St Andrew’s, the greatest Pilgrimage site in Scotland, visited by penitents from all over the United Kingdom over the centuries, not just to play golf, but to see the great ruins of the Cathedral there, jutting out into the North Sea, defiantly proclaiming the greatness of the Kingdom of Fife! Viva Fife in the 21st Century! I am currently playing on the Ladies European Tour and spend my off weeks practising up in St Andrews trying to work my own way into golf's history books. Ultimately I would love to play on the American ladies professional golf tour but wherever I am in the world I will always be proud to call Fife home.